Though we believe that child care, like childhood itself, should be full of wonder, delight and enjoyable amusement, we also believe that we have a fundamental responsibility in helping in overall child development. Our complete focus is aimed at partnering with parents in order to bring out the best in their child. 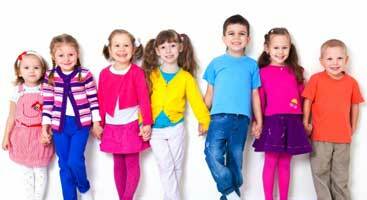 We never look at what we do as mere babysitting, and as South Windsor’s Top-Rated Local® child care and preschool, we know that it is our duty to educate and develop your child in the most comprehensive, yet personal, ways. Our age-focused programs help to bring out the very best in your child. Through “play with a purpose” we work to personalize your child’s learning needs in fun and engaging ways. Each of our faculty and staff strives to ensure that, not only are your child’s daily basic needs are addressed and handled with care, but each member also focuses on the nurturing and development of your child as an individual, with lessons and programs suited to their specific and personal needs. As a trusted preschool and day care facility in South Windsor, with other locations in Milldale, we hope that our services act as a foundation for personal development within our community. Find out more about our core philosophies, our staff and our facilities themselves by scheduling a school tour and calling us at 860-910-4145.